If you’ve ever seen the Seattle-based sitcom “Frasier,” you probably have a clear image in your mind of what Frasier’s dad’s reclining chair looks like. The grungy, tattered recliner sticks out like a sore thumb in the chic and stylish Seattle apartment where the father and son live together. But no matter how much Frasier pleads with his father to get rid of the disgraceful chair, dad just can’t bring himself to part with his beloved and unsightly seat. Many people have furnishings like this – that worn and well-loved couch or cushion that is so far gone a secondhand store would turn it away. 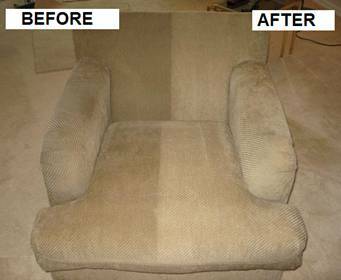 However, rather than saying adieu to that beloved recliner or loveseat, Steve Short of A Steve’s Professional Truck Mounted Steam Cleaning recommends having it professionally cleaned instead. For more than 30 years, Steve has specialized in getting people’s carpets and rugs looking, smelling and feeling like new, but throughout his experience, he’s also learned a thing or two about giving new life to upholstered furniture, curtains and other part of the home. Steve says the next time you make an appointment to have your carpets cleaned, why not tack on your living room set, too? It’s amazing what a quick steam cleaning can do for a well-used couch or sofa. And Steve can clean more than just your upholstered items. Outfitted with a state of the art truck mounted rotary machine, Steve says his equipment can cut through the tough grit and grime that builds up in bathrooms and kitchens. Steve says manufacturers recommend having your carpet professionally cleaned at least once a year, but the same goes for tile, too. “Grime builds up over time if you don’t stay on top of it,” he says. And even if you do clean your tile regularly, hard to reach areas around the water heater or other large appliances often require the handiwork of a professional. 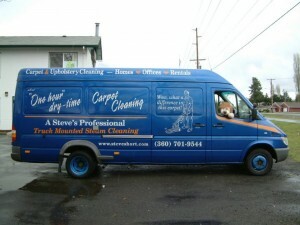 A Steve’s Carpet Clean does much more than just your carpets offering upholstery, tile and even RV cleaning. 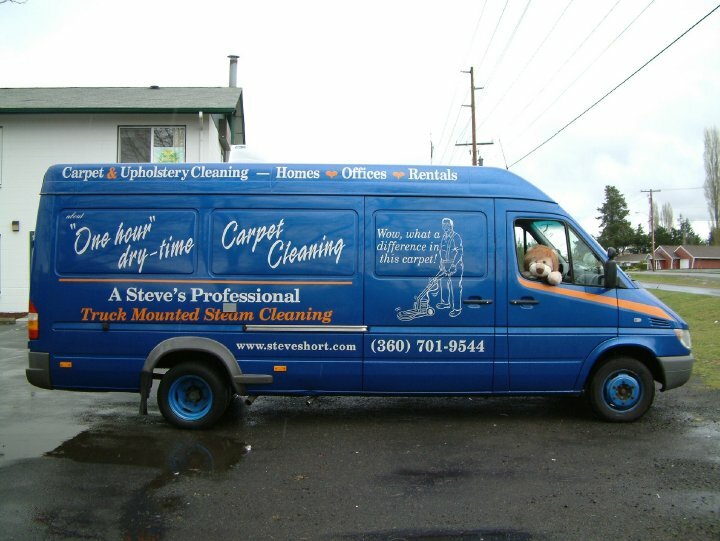 In addition to flooring, furniture and other upholstered items for the home, Steve has also added RV cleaning to his list of services. After a summer of fun spent cruising across the country, chances are your RV has seen better days. Steve can steam clean stains, smells, dirt and grime straight out of your RVs carpets, curtains, seats and more so your RV will be recreation-ready in time for next summer’s adventure. Spills, stains and dirt happen. Let A Steve’s Professional Truck Mounted Steam Cleaning breathe new life into the spaces where you live, so you can enjoy them, year after year.